Lick Honest Ice Creams is like your childhood dreams come true. 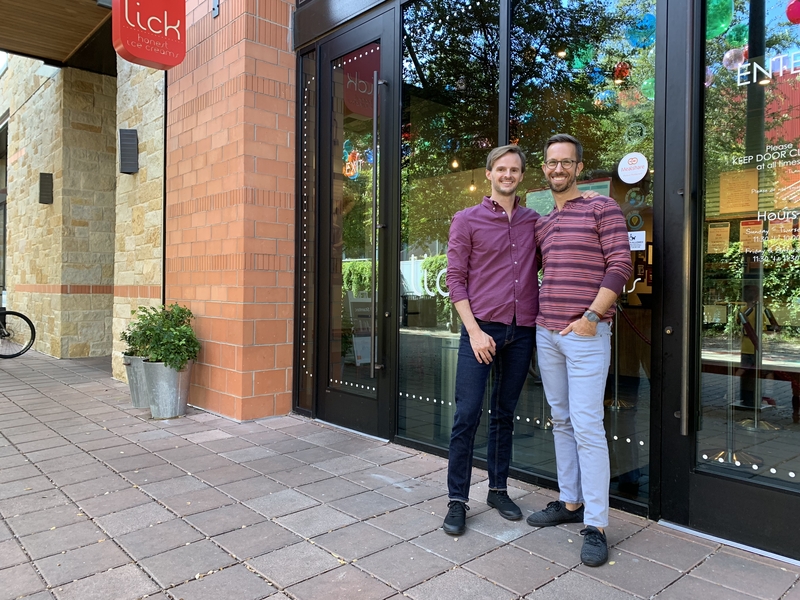 Let’s be honest, ice cream is one thing we all can say we’ve never grown out of, and now co-founders Chad and Anthony have developed an honest ice cream shop with exclusive flavors and an unforgettable experience. Both from small rural areas, Chad and Anthony met in New York. Anthony was working in catering, and Chad worked in design. After traveling to Chad’s hometown of Lancaster, PA, Anthony fell in love with the local ice cream scene with its seasonal flavors from locally sourced ingredients and the unique feel of eating ice cream out of a mom and pop shop. An experience he says, you definitely don’t get at your local Dairy Queen. "I just came to the realization of what I was really in love with, and that was Ice Cream." Over several conversations and trips to visit family and friends in Anthony’s home state of Texas, the duo realized that Texas was missing the ice cream experience they cherished so much on their trips to Pennsylvania. That’s when the gears really started turning. With Anthony’s culinary skills and Chad’s background in retail, a light shined on the possibility of being able to start their own ice cream business. They both asked themselves, “What am I really more in love with?” Their current stable careers or the chance to spread the magic to ice cream lovers alike. They sold their home in Ohio (where they had moved from NYC) and used the money from the sale to fund their dream. The first year for every business is everything but sane. It’s often comprised of long hours, building relationships and reminding yourself it will all be worth it in the end. 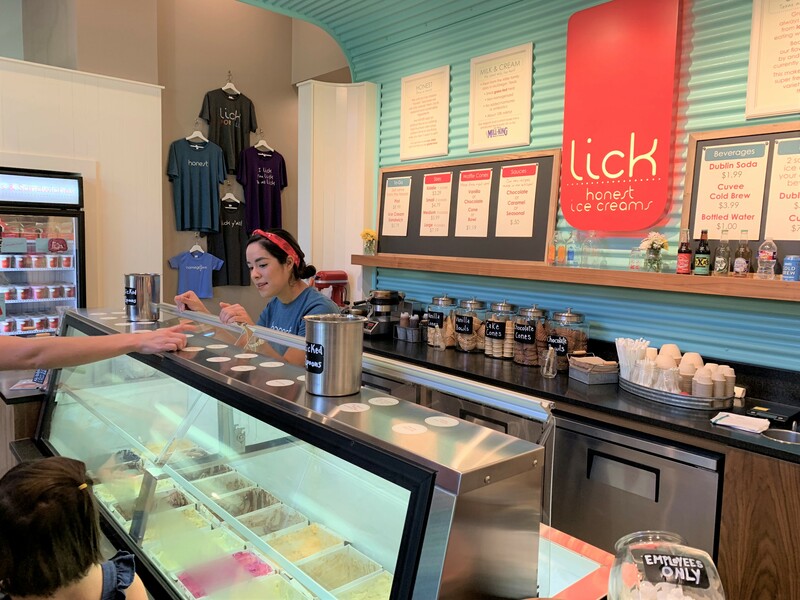 “We didn’t want to just be a trendy ice cream store... We want to create shops and a product that people will have and eat forever” With this in mind, the couple decided that they were only going to source their ingredients from local farmers and artisans. Today, 75 percent of all ingredients come from local farmers and artisans. Flavors are centered around things that are easy to grow for the farmers like beets and fresh mint. When talking about working with a lot of small businesses, the pair noted “It’s good because we’re all growing together...It can be challenging because we’re not super established or have been doing this for 30 years but (still) we’re growing together” . Lick Ice Cream also has an in house bakery. 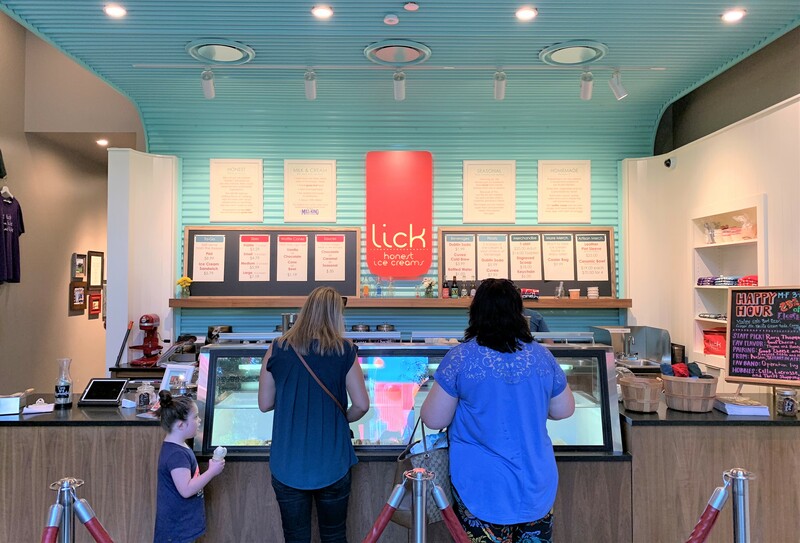 All ingredients, including the salted caramel, chocolate chip cookies and brownies are directly made at Lick. In 2011, the duo opened their first shop. “We opened with 3 employees all family” Today they are four shops bigger and preparing for their 2019 extravaganza. It may seem like an overnight success for a small company, but providing a consistent experience, finding balance and the right people have attributed to their wins. For most small business owners, maintaining the company, the brand, the missions the finances, it’s all things you take home with you - from a mental standpoint. Anthony jokes that sometimes he has to “check himself before he wrecks himself”. They both admitted that sometimes they get a sense of guilt when they aren’t working, “I should be working harder than every other person” often crosses their mind. But then they remember, “We have amazing people who are responsible and smart, we can leave today at 6pm”. Also, knowing when to pat themselves on the back after getting positive praise from customers reminds them that the hustle and bustle of being an entrepreneur is always worth it in the end. As for Lick, you can find each location in ATX centered around neighborhoods, family environments, or up and coming areas like the Pearl in San Antonio. In each location, you will see workers who are just as jazzed about being there as Anthony and Chad are about their business. Then you will taste the Ice Cream (we love the vegan chocolate-chocolate - yes they are vegan-friendly and yes it's delicious), and your life will be changed forever, seriously. Believe the hype, the ice cream is awesome. Click here to see the list of Ice Cream Shops and flavors.